I recently read an article about the importance of teaching children how to sew. 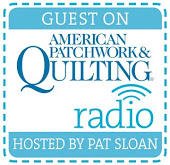 The author of this article – and I cannot for the life of me remember where I read it – talked about the importance of keeping the craft going and how important it is to engage young people while they are young. I so agree with this philosophy and try to apply it in my own home – not just with sewing, but with as many creative pursuits as I have storage for. Growing up, there was no end to the projects I wanted to try. I was lucky enough to have a family that encouraged and enabled my artistic endeavors, such as they were. I really try to foster this type of environment for my daughters. I also try to make it a regular occurrence. Thus the birth of Crafty Saturdays. I finished a new Baker Street sample last month and I love it! 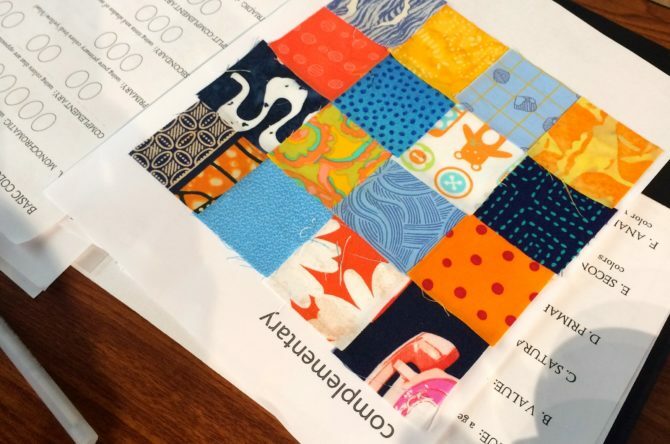 As I have mentioned before, one of my favorite things about quilt making is the different looks you can achieve by changing one or more of the variables. One pattern can literally have thousands of different looks by changing the fabrics alone. 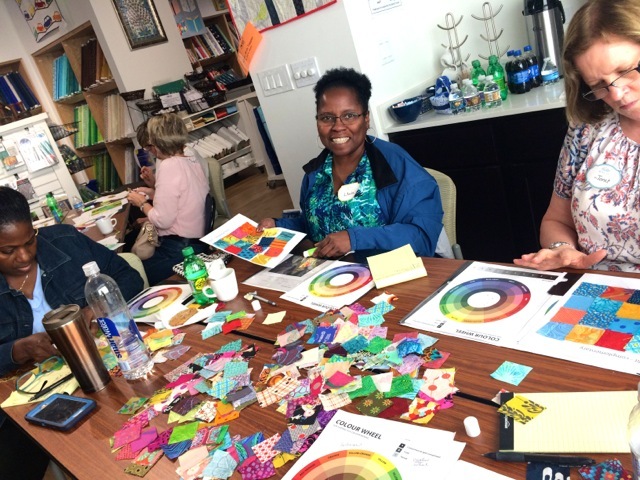 Between the start of my art classes this school year, a color class at The Quilter’s Trunk, and a visit to the Itasca Quilt Guild, I spent almost all of last week talking about and thinking about and dreaming about color. It was a blissful week! 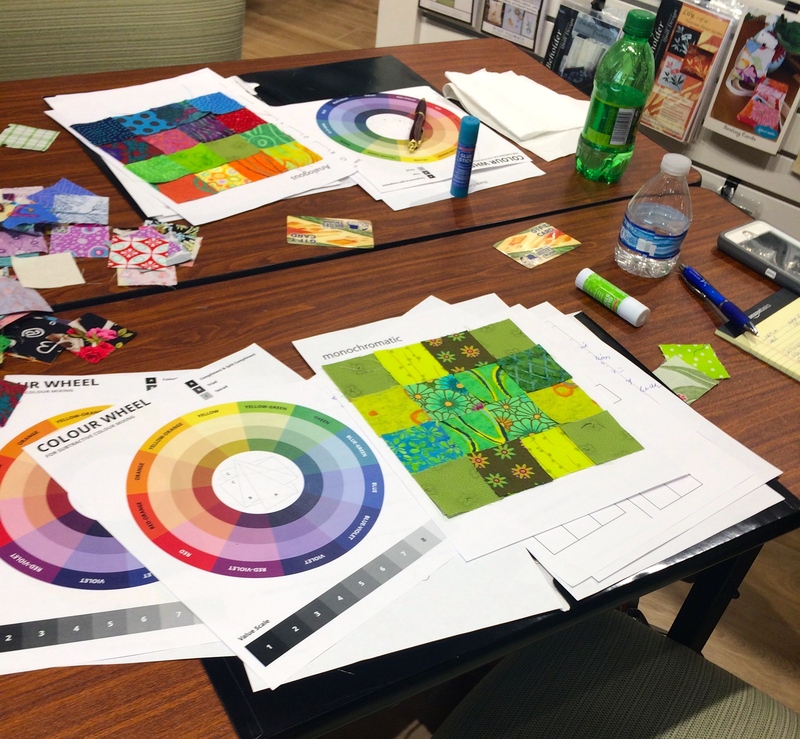 I always start the art year at school out reviewing the color wheel and basic color theory. 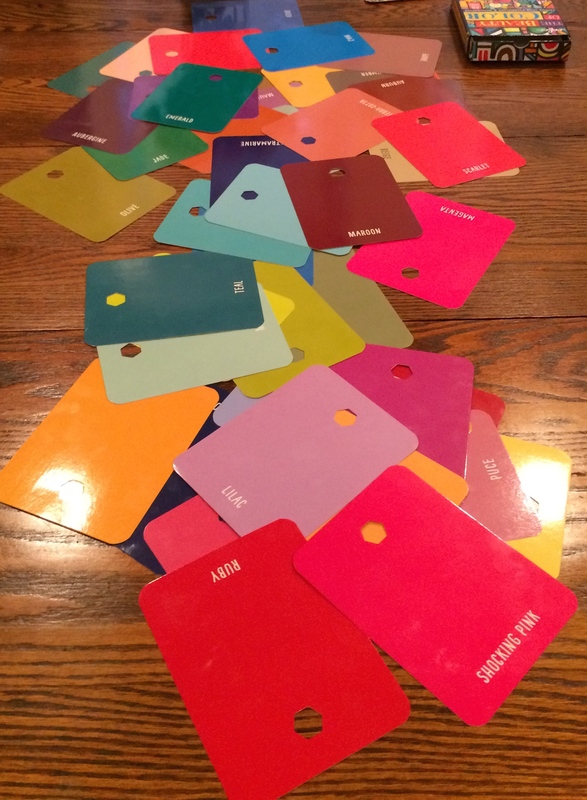 I am trying to get my students to be able to think about colors the way they think about their math facts – I want it to become part of their school vocabulary. I have yet to find any kids who dislike color. They all have a lot to say on the subject and seem genuinely happy to learn about it. Like anything you imprint when you are young, as you mature, you start to see things that you might not have otherwise. 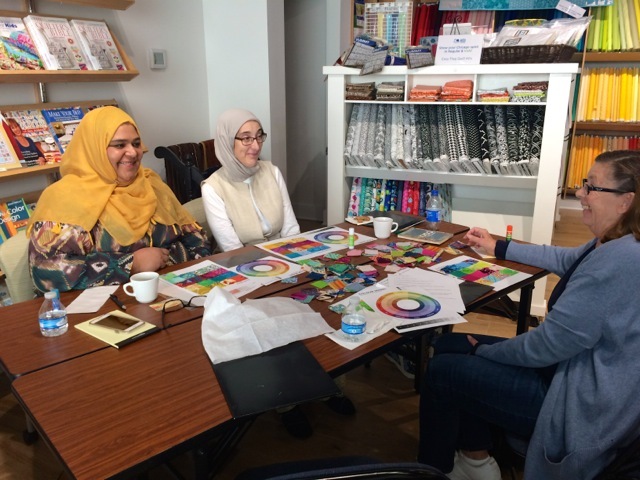 Since I started giving color classes about ten years ago, my perspective on color and the way I view colors in nature, art and quilting have been affected by all I have learned – both in preparing for classes and being inspired by my students. Thanks to everyone who came to class – I even had one student there for the second time! 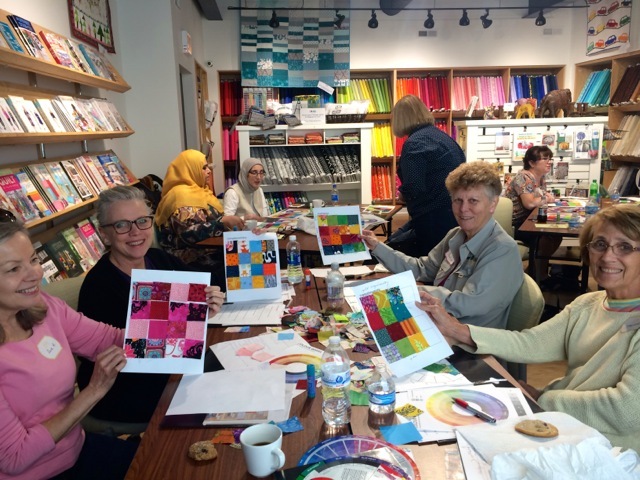 Then last Wednesday I visited the Itasca Quilt Guild – such a lovely evening spent with like-minded ladies! 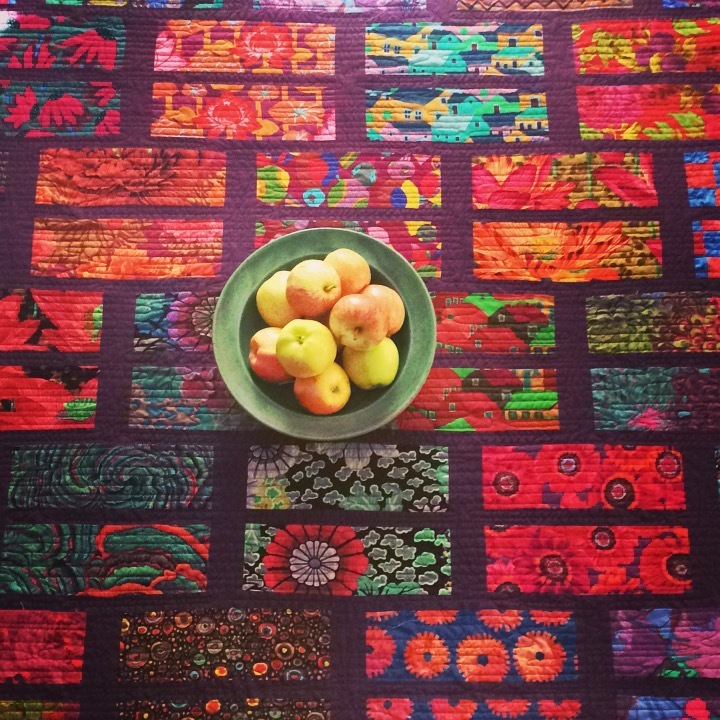 I gave my Color Confidence lecture and showed Blue Underground quilts – some new, some old. Storage space it at a premium in my house and most of my quilts are put away in between trunk shows…I always like seeing all of these quilts as they are unfolded. They are like old friends. And as an extra treat, some of these ladies brought quilts that they had made from our patterns in years past! As the season changes here in Chicago (even though this past week alone has been hotter than any other this summer it seems) I am inspired to keep experimenting with color! 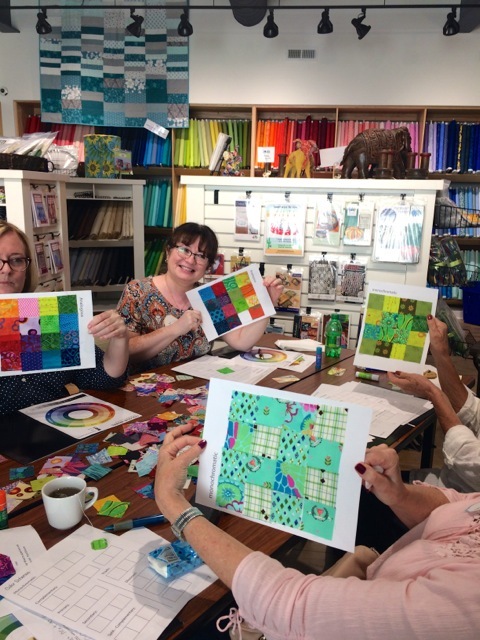 If you’re interested in scheduling a color class or lecture/trunk show for your shop or guild, send us an email at blueundergroundstudio@yahoo.com or call 773-425-6261! 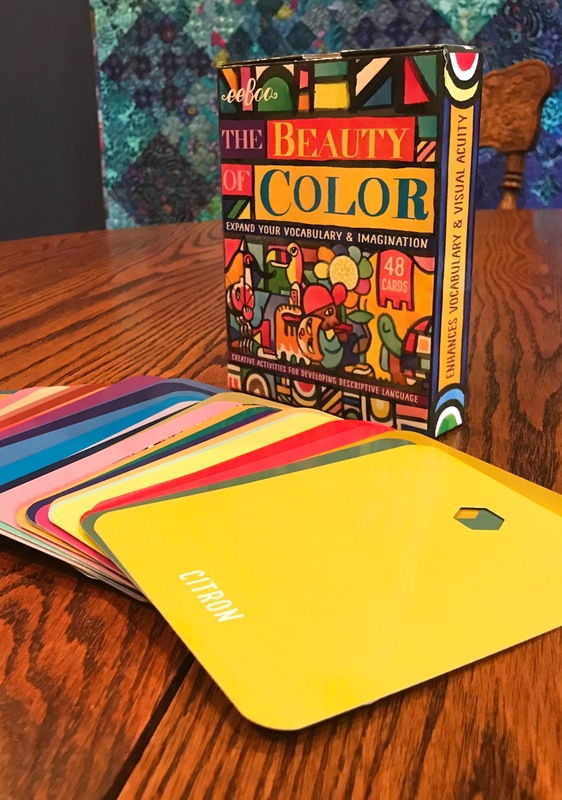 We have been talking a lot about colors this summer, largely prompted by these color cards by Eeboo that my daughter Maggie got for Christmas (from Santa!). My daughters are five and eight, and I love to hear their different opinions about colors and how they are used, and what they should be named and which are their favorites. I was surprised to find just how much they have to say on the matter. So much in fact, that sometimes they like to ask visitors to play as well.